Music is a very important part of our church life. 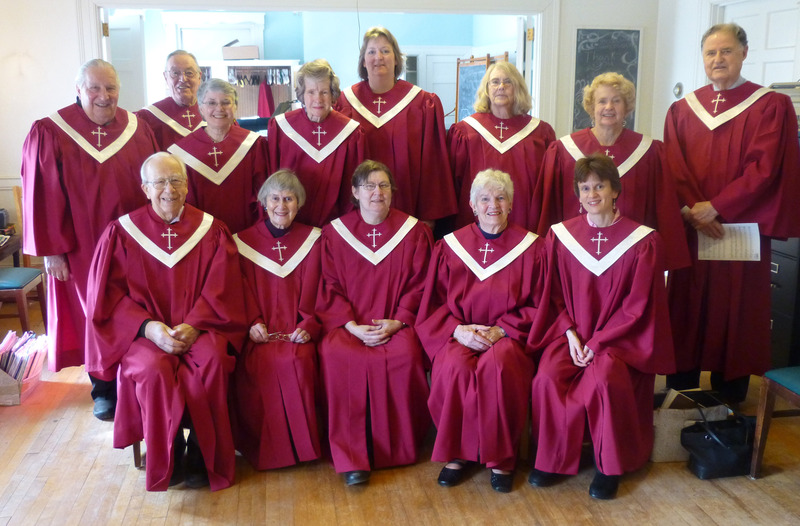 Our Chancel Choir rehearses Thursday evenings at 7pm. and Sunday mornings at 9:15am. Our musical repertoire spans a wide range of styles and traditions. In early 2017, following Bob Blafield’s retirement, South Church welcomed a new Director of Music. Tom Damrosch served for three months as South Church’s interim Director of Music, before being appointed the permanent Director. Tom impressed the Search Committee with his musical leadership of worship, his working relationship with church staff and members, and his enthusiasm for South Church’s mission.Tom greatly enjoys working with our choir and playing our fine pipe organ and our other keyboard instruments. 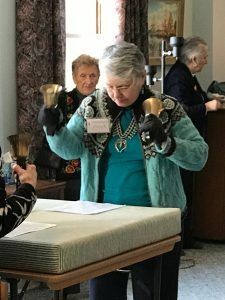 In addition to his weekly work preparing for worship and recruiting guest musicians, Tom plans to organize the choir room and has reinvigorated the South Church hand bell choir. He looks forward to working with the church at large to provide an open and welcoming environment for musical expression at South Church. Tom recently retired as a pastor, having served at Grace Church in Dalton and St. Paul’s in Stockbridge, returning to his first love, church music. As an organist since age 17, he has led music in churches, organized festivals and given recitals in the U.S., Canada and Europe. His day job while being an active musician was as a banker, where he was involved in community redevelopment and affordable housing work in New York and Puerto Rico. Tom enjoys participating in a wide range of worshiping communities. He now sings with the Berkshire Concert Choir and is Chaplain for the American Guild of Organists (Berkshire Chapter). He and his wife, Marthe, live in Pittsfield. South Congregational Church’s hymnal is Hymns of Truth and Light. Hymns of Truth and Light was created by the First Congregational Church (UCC) in Houston, Texas, in 1998. The Houston church was frustrated in its efforts to find a hymnal that both respected tradition and celebrated the progressive nature of the UCC, so church members decided to compile a new hymnal. The result was so successful that the Houston church shared its work with other churches. South Church and four other churches were part of the 11th printing and are among 102 churches that now use Hymns of Truth and Light. South Church’s edition of Hymns of Truth and Light, personalized with hymns important to this congregation, helps take us deeply into the heart of God’s love. Through hymns of praise and conscience, it renews in us the wise traditions of Christian worship while also stretching us into the future God is crafting. The bells at South Church are being brought to life by some new ringers! Rehearsals take place on Saturday mornings. All are welcome to join. The first official bell choir performance will be during the 2017 Easter service. We look forward to Linda Worster’s frequent visits as a faith-based folk singer and songwriter. South Congregational Church hosts frequent live performances with proceeds (a free-will offering) benefitting important causes. Join us for a fabulous evening of great music while supporting great causes. Learn more about the Bread & Roses Coffee House.